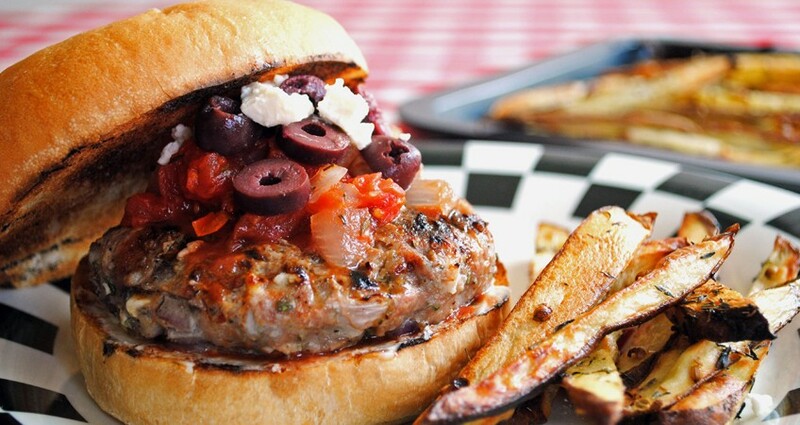 In a large bowl combine ground beef, feta cheese, Kalamata olives, garlic and minced jalapeno peppers. Grill on indoor or outdoor grill/pan until burgers are fully cooked. Place on a bun, all the lettuce, the tomato and season with any condiment of your choice. We recommend you to try the Kalamata Papadimitriou Balsamic cream with figs.